With a variety of diets such as low carb, low fat and raw food diets that you can follow for weight loss, you will need to see which diet fits your diabetes and your requirements best. With any diet that involves restricting either calories or a certain food group such as carbohydrates, you should try to include a good variety of foods to ensure you are getting the right amount of the nutrients and vitamins you need. If the diet means you are deficient in certain nutrients, you may be advised to take supplements. Speak to a dietitian who will be able to advise which diet could be right for you and how to ensure you get the right amount of nutrients. Much modern weight gain is results from eating processed and take-away meals. Replacing these with home cooked and prepared meals as a first step comes highly recommended. Diabetes UK advises that diabetic food labels be removed. Low calorie diets help by decreasing your energy intake (calories) which helps your body to burn off fat. A low calorie diet is regarded as a one which has a daily calorie intake of between 1,000 and 1,500 calories for a woman and between 1,500 and 2,000 for a man. A calorie counting book is worth buying to aid weight loss in this diet. A very low calorie diet (VLCD) is where the daily calorie intake is less than 1,000 calories. The NHS advises that the diet should only be followed by people who are considered to be very overweight, and that the diet should not be followed for more than 12 weeks. 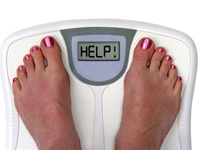 A VLCD is quite an extreme diet to follow so it is particularly important to seek the advice of a dietitian. A low fat diet involves reducing the amount of saturated fat in your diet. Reducing the fat content of your diet can help to cut down on calories and promote healthier food choices at the same time. Many foods that have a high fat content also have high carbohydrate contents, such as hamburgers, pizzas, curries and pastries, so a low fat diet also has the potential to reduce blood sugar as well. Be wary of some low fat products as a number of low fat products simply replace the fats with a higher carb content. Comparing food labels of different products can help to pick the right choices. A low carb diet is a diet in which carbohydrate intake is restricted. This generally involves cutting out starchy and wheat based foods, such as bread, pasta, rice and potatoes, and replacing this food group with a higher proportion of proteins and fat. Any higher fat content should consist of a healthy mix of the right fats such as unsaturated as found in olives, nuts and fish. There are a number of different diets which more or less fall under the low carbohydrate term; these include the Atkins diet, the Stillman diet, the Zone diet and a number of others. Low carb diets have been found to be successful for weight loss, as the diet promotes ketosis which is involved in the breaking down of body fats. However, there is debate about whether the diet is safe over the long term. The Mediterranean is based on the diet consumed by people in Mediterranean countries such as Southern Italy, Greece, Morocco and Spain. Protein comes from fish, poultry and moderate amounts of cheese and yoghurt and eggs and a relatively low amount of red meat. The diet is frequently recommended as it includes a relatively high amount of unsaturated fat which helps to balance the saturated fats of any dairy and red meat. The Mediterranean diet can involve quite a high salt content, though. The raw food diet is one in which the foods you eat are unprocessed and uncooked. The diet relies on a high quantity of vegetables and fruit as well as beans, pulses and nuts. The raw diet is based on the idea that cooking breaks down enzymes in the vegetables that are no longer beneficial once heated above 40 degrees Celcius (104 degrees Fahrenheit). The raw diet has a small saturated fat content and is a popular choice for people who are looking for a ‘detox’ diet. The diet may not be suitable for children, pregnant women, or people with anemia or at risk of osteoporosis.